The impact of dedicated care can be life changing for both a service user and their family. Hi there, my name is Daniel Hynd, I’m 22 years old and I have cerebral palsy. I have received support from H1 Complex Care for the past 2 years and it has given me a new lease of life. During this time, with the help from my great support staff, I have been able to live in my own house, which gives me the independence I want. I’m able to socialise a lot more now, which has helped me to make new friends. Holidays are also big on my agenda and I’ve been able to go to Magaluf and Salou, which I wouldn’t have been able to do without my support staff. I feel so settled now, and long may it continue. Who would have said a routine hip operation would render a patient incapacitated for the rest of his life? This is exactly what happened to Jim Good when he was admitted to his local hospital for hip replacement surgery. Instead of looking forward to a renewed lease of life, a medical malpractice inflicted injury has denied Jim of his ability to walk, effectively confining him to life in a wheelchair. Notwithstanding this, Jim is resolute his disability will not deter him from leading as “normal” a life as possible and following his court settlement, he had H1 Complex Care appointed to help him with everyday household chores and assist him in getting out and about. Jim Said, “My H1 Complex Care team are wonderful. I want to live as independently as my circumstances allow and with their assistance, I’m able to overcome the household challenges which a wheelchair throws up. 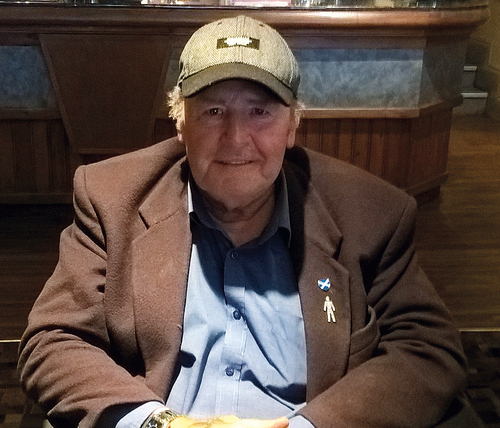 Jim’s care requirement is only 6.5 hours per day but the difference H1 Complex Care makes to his life is the difference between resignation and reinvention. needs a little more help and that’s where H1 Complex care come in! We appreciate the value H1 Complex Care bring to otherwise catastrophic situations like ours. It is difficult to imagine what Scott’s life would be like without them. In July 2011, a road accident changed the life of our son, Scott Stewart, forever and turned our family’s world upside down. Nothing would be the same again! Scott, suffered life changes injuries which required him to spend five months in the critical care ward of Wishaw Hospital and the following four and a half years in the Murdiston Brain Injury Unit. 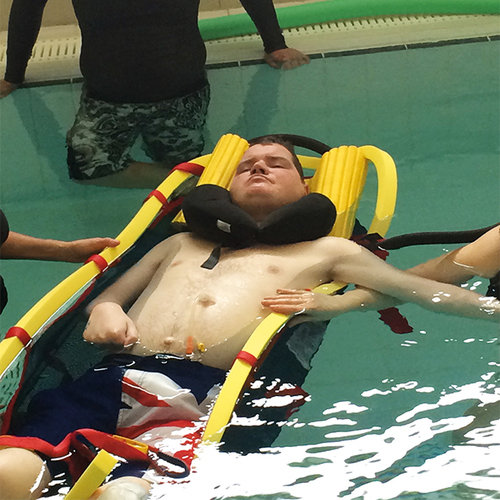 Our dream has always been to have Scott come home but the very complex nature of his injuries required the creation of a supportive environment, unique to Scott, before this would be possible. With this is now in place, we are delighted to have H1 Complex Care working with us, as Scott’s care team. They have helped transition Scott from a medical environment to a life, in prospect, in the comfort and security of his own home, involving a yearlong programme of weekend support from July 2015 to June 2016. 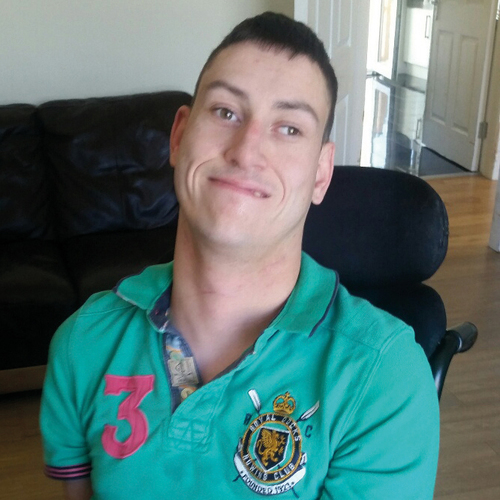 Scott moved to his new home on the 30th June 2016 where he enjoys the closeness of family, alongside 24/7 care from his H1 Complex Care team, a quality of life experience which would be impossible for us, as parents, to provide. H1 Complex Care not only make Scott’s life as comfortable as possible, they also make it possible for our time with our him to be spent productively, in the knowledge that every aspect of his wellbeing is being considered on a daily basis, leaving us free to focus our attention solely on the love of our son. You helped make the “complex” less complicated and your speed of response in appointing a care team to our client was impressive. Just a quick note to say how refreshing it was working with you and your colleagues during our recent complex care case. case arise, it would be a pleasure to call upon you again.